At some point in our lives, we've all been asked the 'if you had a time machine, what time period would you travel back to?' question. My answer? The 1960's. I'd love to be able to witness the births of fashion trademarks such as shift dresses, mini skirts, big hair and cat eye liner. If you can't already tell, I'm absolutely smitten with the 1960's fashions. I'm all about channelling my inner Twiggy with mini skirts and shift dresses. But I thought for this post, it might be a nice idea for us to look at mini skirts in a bit more detail. Let's have a history lesson shall we? 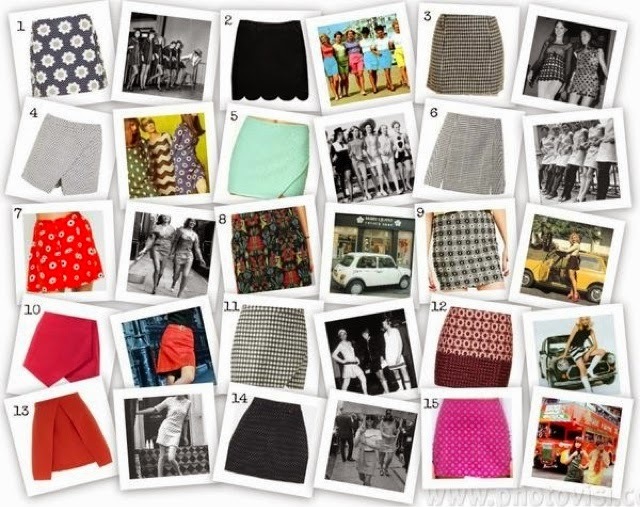 The iconic mini skirt was born when, in 1965, London fashion designer Mary Quant raised the hemline of her skirts to several inches above the knee. Here's something you may not know: the name of this new fashion statement was derived from Quants' favourite car; the Mini. The flirtatious mini skirt was such a distinctive breakaway from the fashion of pre-60's Britain, when young women were expected to dress in the style of their mother (and young men in the style of their father), and it became an expression of a womens' individuality. Mini skirts have been a fairly prominent figure in fashion for the past five decades. After the original mini skirts in the 60's, there was the 70's punk revival of the skirt (aided by the likes of Debbie Harry of the group Blondie who regularly wore mini skirts on stage) and the 'Corporate' mini skirt in the 80's. The 90's saw stars such as the Spice Girls and Saved By The Bell's Kelly Kapowski sporting the look. And now - after a brief disappearance from the world of fashion in the noughties - mini skirts are back in force. Spring 2013 saw a return of all the 60's fashion trademarks (not just mini skirts, but also A-line dresses, kitten heels and pointed shoes) on the catwalk. One of my favourite places to pick up gorgeous mini skirts has to be vintage fairs and shops. I could honestly spend all day looking through all of the beautiful pieces you can find. There are so many hidden gems at amazingly low prices. But, of course, you can also find some stunning pieces on the high street. I thought it would be a great idea for me to share with you lovely people, some of the high street gems in the mini skirt world. 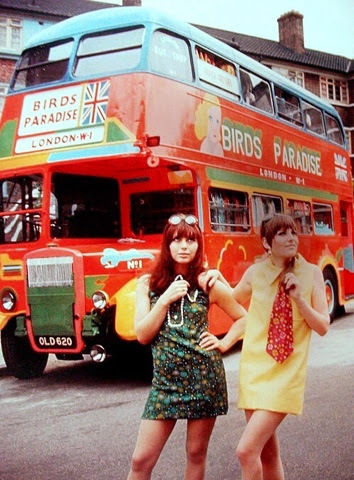 Are you a fan of the 60's fashions? I particularly love how this trend has been revived, those skirt picks are gorgeous! Great post.